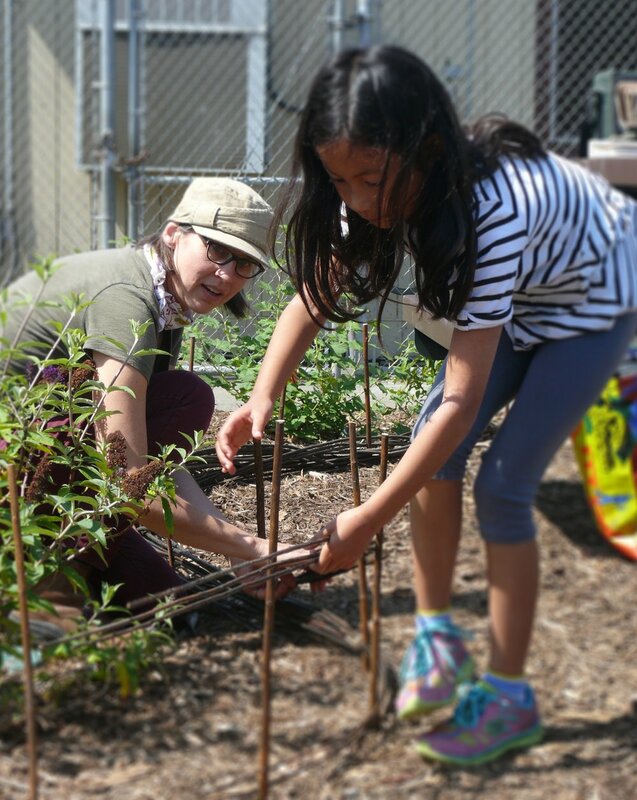 May and June marked some major milestones for the Sausal Corner Nature Play Area. We had a great time building a willow fence with some of Sequoia Elementary's fifth graders. The fence not only brings an instant look but will help protect the immature plantings during their establishment. In June, the school's new garden instructor lead the entire student body in a dedication ceremony. It included instruction on proper stewardship and behavior in the space and an inspiring poem written by students. We are excited to watch the space continue to mature and change as the kids begin to explore, learn and play!